It happened! 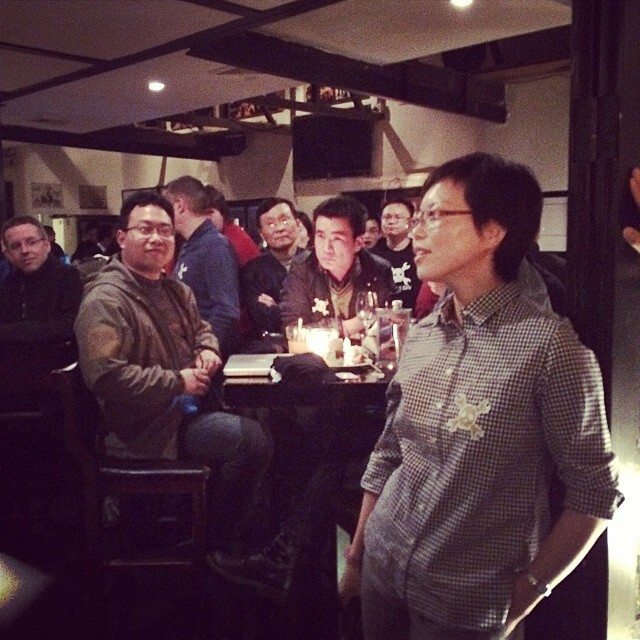 The Gathering crossed the Pacific and landed in Shanghai on Thursday, March 20th. It took place at the venue ironically called ‘Abbey Road’ (it’s the only one we could find on such a short notice) and more than 150 people showed up. The whole scene had a huge Chatsubo feel too it – an eclectic mix of local and expat hackers and engineers, professors, students and all sorts of industry mercenaries from around the world. And everyone with skull-and-wrenches t-shirt or a sticker on. I can only imagine what Chinese police would think if they happened to drop by. Not to mention if they asked how in the world did all these ‘anarchist’ t-shirts enter the country. We met a lot of exciting people and heard all sorts of weird tales, such as the (off-the-record) one about the real reasons behind certain well-known laptop manufacturer’s batteries bursting into flames. We also got a lot of great advice on smuggling electronic components out of China and other everyday tips & tricks. My favorite conversation was with [Alexander Klink] on his research in Denial of Service attacks using algorithmic complexity of collision resolution in (a priori known) hash functions. Though the original paper is more than two years old, its takeaways can still have a huge impact on all sorts of software and hardware devices out there. The general theme of the night was how exciting it is to live in a place like Shanghai, where rapid urban growth and access to manufacturing resources meets a blossoming technology and art scene. It is even more so thanks to places like Xin Che Jian, which make being a “hacker” a socially acceptable thing on the other side of the Great Firewall. That said, reading all of Hackaday content still requires a proxy. 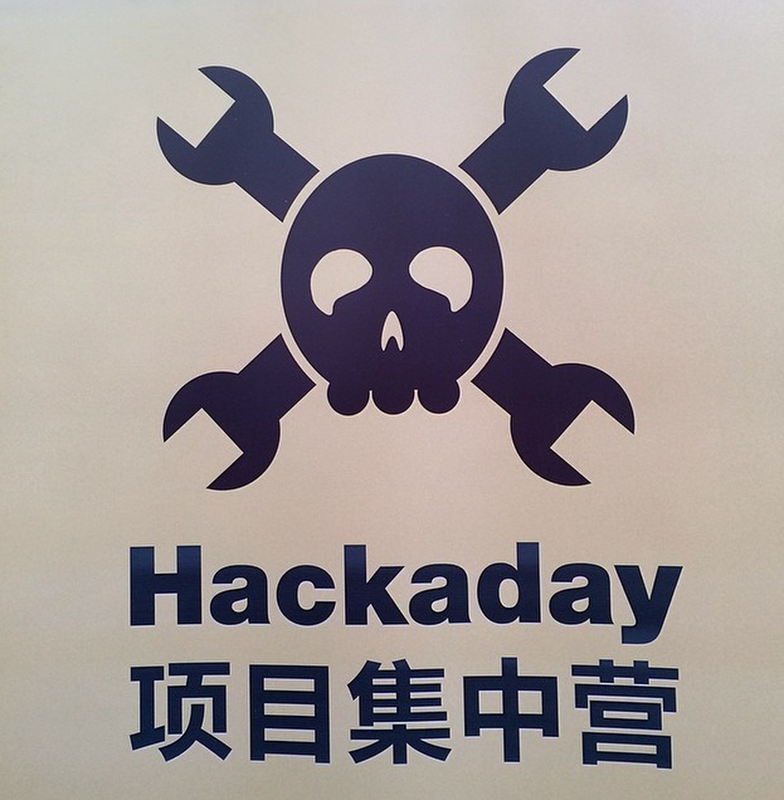 Whether you live in Shanghai, are at Electronics China representing your company, or by dumb luck just happen to be in town this week you can meet some of the Hackaday crew and score yourself some sweet swag. Anyone in town on Thursday night will want to get a ticket to Hackaday: The Gathering. Right now it’s all sold out, but we hope anyone with a ticket who is unable to use it will cancel so that another may take your place. Free food, drink, t-shirts, stickers, and other swag await… no wonder the tickets are already gone! The Electronica China conference started Tuesday at Shanghai New International Expo Centre, but it runs through Wednesday and Thursday as well. We’re attending, but we don’t actually have a dedicated booth. Hackaday is piggybacking with EEFocus, the Chinese contingent of our parent company. Both [Matt] and [Alek] will be hanging around the EEFocus booth (#W3.3686) shucking out hackaday T-shirts if you ask for one. Before he left, [Matt] mentioned that he’s excited to attend lectures on connected medical devices, the Automotive and EV boards, as well as the embedded systems forum.